Update 2 – 03 July: The accounts on both Sina Weibo and Tencent Weibo have been deleted as GreatFire.org confirms. 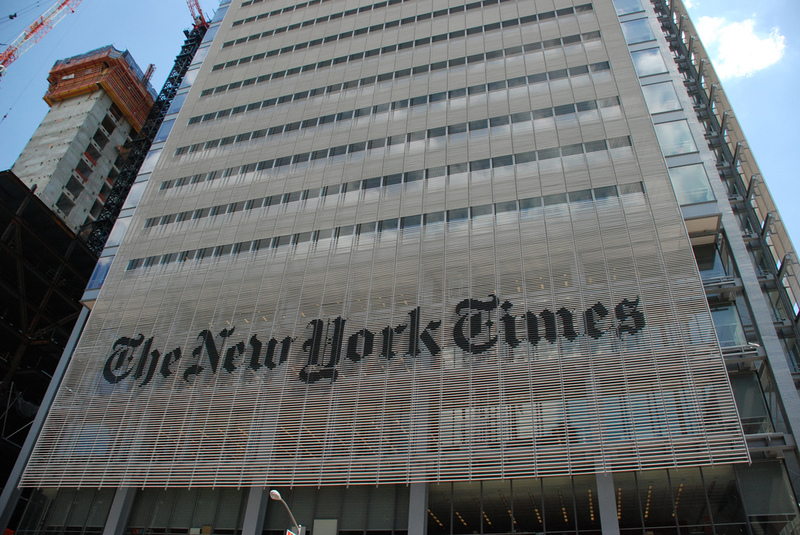 Yesterday the New York Times announced a significant move when it announced plans to introduce a fully Chinese version of the prestigious newspaper’s website, with an accompanying account on Sina Weibo, a microblogging platform popularly heralded as ‘China’s Twitter’. The website went live just two hours or so ago, but already there are doubts about the project after the New York Times China’s Sina Weibo account — which was here — was suspended. It remains unclear exactly why the account has been suspended but it is seems most likely that the recent content of the feed was found to be too ‘risky’ for Sina, leaving it to get ‘benched’ for a while. Suspensions can be given out under Sina Weibo’s new user contract but, given that this account is new and its feed promotes the content of the New York Times China site, the matter leaves question marks over the future of the publication, barely hours into its first day of life. The microblogging service has 300 million registered users but, under pressure from a series of initiatives from the Chinese government aimed at taming it, Sina remains reluctant to provide figures, making it unclear exactly how many actively use the site. Nonetheless, it remains China’s top Web-based distribution service. China’s media largely practises self-censorship, while a number of the biggest players are state-owned. May saw the government expel its first correspondent since 1998, when Al Jazeera’s Melissa Chan was refused a new visa, effectively ending the new organisation’s bureau in China. Chinese officials are thought to have had a number of meetings with executives at the Times in advanced of the agreement, so it would be a surprise if all that time and effort saw the newspaper gagged in its early stages. The paper’s Chinese site remains up and running, despite the Weibo issue. We’ll keep digging for more information. The move into China is the New York Times’ second major move in the last week, the first saw it take a massive step into digital with a partnership with Flipboard. Update: Initially we reported the Weibo account as being deleted but it is in fact suspended. Sina recently introduced new regulations to better control manage all users of the Weibo service, and that is likely what has triggered he suspension.